In the ad, a young woman talks about the perceived threat to public safety the ordinance presents. Critics have long asserted that the broad non-discrimination law, which includes protections for gay and transgender residents, would allow male sexual predators dressed in drag to enter women’s restrooms. A heated legal battle between opponents seeking to place the law on the ballot and the city ended with a Texas Supreme Court decision in late July ordering City Council to either repeal the law or vote to affirm it and place on the November ballot. After a 12-5 vote, City Council opted for the latter. The two-week, $100,000 buy will air on several radio stations, including Mix 96.5, Sunny 99.1, KNTH AM 1070 and the conservative KSEV Radio. In the ad, an unidentified woman says that she would like to give birth to a child in Houston but is concerned about the equal rights law. “There are already federal and state laws that prohibit discrimination against pregnant women, but this ordinance will allow men to freely go into women’s bathrooms, locker rooms and showers. That is filthy, that is disgusting and that is unsafe,” the ad states. 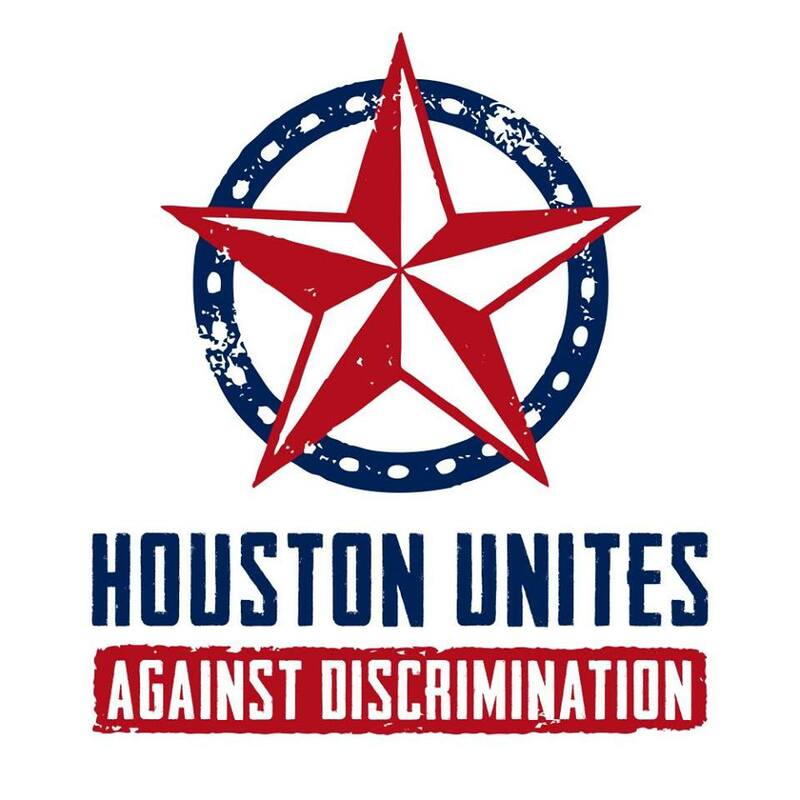 The Houston Unites campaign, supporters of the ordinance, responded to the ad in a written statement Monday dismissing the message. The campaign has yet to make any media buys, but manager Richard Carlbom has said the group will hit the airwaves and TV in the coming months. “The ad is vulgar and grossly misleading. Nothing in the equal rights ordinance changes the fact that it is – and always will be – illegal to enter a restroom to harm or harass other people. And the ad leaves out the fact that the law protects tens of thousands of Houstonians from job discrimination based on their race, age, religion, sexual orientation, gender identity, and disability,” the statement said. It’s all of those things and more, but that doesn’t mean the ad won’t be effective. This is exactly what I expected from the HERO haters, and it’s why I was hoping the pro-HERO forces would have something out first. It’s hard to dislodge that kind of fear once it takes hold; facts just don’t get you very far. If any of these radio stations are ones you listen to, by all means feel free to contact them and tell them that you don’t approve of this dishonest and hurtful ad. If the ad really makes you mad, get in touch with Houston Unites and find something you can do to help protect HERO in November. PDiddie has more. UPDATE: The Press and Lisa Falkenberg add on. It is interesting to me that Michael Kubosh would throw his colleagues on City Council under the buss by suggesting they would vote for an Ordinance that is illegal (e.g., allowing a man to dress as a woman to enter a women’s restroom…). Many feel Kubosh is doing this for political gain. Kubosh has had many opportunities to set the record straight, but he prefers to speak at places of worship and further perpetuate his attack on African Americans, Latinos, Veterans, Disabled, LGBT community, etc. LOL..not even close to the truth. Your statements are racist. You are against ero so you hate all minorities. That is just as bad as the things you complain of. Quick question: Why are those opposing the ordinance referring to it as “Ero”? It still refers to a Houston-specific ordinance, yes? Is ti as simple as not liking the term hero given the connotation of the term outside of the ordinance? Just curious since it started popping up all of a sudden. Thanks! Kubosh took $5,000 from Steve Hotze. That’s everything you need to know about him and his motives. I am a minority, I am against ordinance 530, also known as ERO or HERO if one prefers. I guess using the logic of some persons, I hate myself. I voted for Michael Kubosh last time, and intend to do so again. I have met the Kubosh brothers and do not feel that they have a racist or bigot bone in their bodies. Michael is throwing his colleagues on City Council under the bus with his continued propaganda. You have to watch this guy at every turn because he is so hungry (no pun intended) to further is political career at the sacrifice of his co-workers and constituents. Steven, I have referred to it as HERO and ERO. Personally I don’t really care what you call it. As to the others vote for him or against him. I don’t really care. If he wins or if he losses the world will keep spinning. Being against HERO doesn’t make you a racist or a bigot. One last thing. I am used to catching crap. I get berated for being friends with all kinds of people. Just check my donations with the state. I have always thought the people of Houston, the citizens are the only people that should have the final word ,on the ero.Mayor parker thought otherwise and there were many people that fought like to hell to keep this issue away from the Houston voters, that was a mistake,Let me give you an example,can you imagine that right now , alot of the same people ,orgs, that will ask you to vote for ero, are the same people 2 or 3 months ago , doing everything in their power to prevent you from being able to vote on it??? ?This issue is so very important for our city that anyone,including Mayor parker should be ashamed that she attempted this with out first giving it to the voters, This issue was for the Houston voters off the top. Joshua, You are not a player. Unfortunately, people do not take you seriously. PK, okay thanks. I just wanted to make sure I didn’t miss something since the change in term is fairly new. What makes ya’ll think that people take you more seriously then they do Joshua? A little arrogant don’t you think? Paul, if you are against HERO, you are in favor of discrimination. That makes you a bigot. There’s no other way to look at it. PK, that’s just it, I don’t ask or expect people to do any such thing. When I raise a point, people can take it on its face, completely blow it off, or do what I request of them; investigate it for themselves. If you think that is an arrogant stance, so be it. I’d take joshua ben bullard over “Steven Houston” any day. Steven, hahaha…good points all. However when I used to attend political stuff he was at alot of events. I don’t know if got paid or not but he was there. Whatever that means. Ross calling someone a bigot, the pot calling the kettle black. Ross I am against the 2014-530 ordinance, that makes me a bigot? How does one come to that conclusion? I don’t believe that homosexuals have suffered the same discrimination as other groups. I would venture to say that ugly people suffer more discrimination than homosexuals. Ross are you one of those persons that refers to people that do have documents proving their legal residents, “Illegals”. Ross aren’t you one of those person that uses the term anchor babies? Ross “Illegals” suffer much more discrimination are they named in the HERO? Why not, if it seeks to end discrimination? Ross why not just an ordinance that says, discrimination is illegal. Why do homosexuals seek to be a protected class like dark skinned persons who used to be slaves in this country. Can a person hide his sexual preference? It is a choice, no studies have shown that homosexuality is in the genes. In fact studies of twins suggest that homosexuality is acquired after birth. Do you think pedophiles want to be pedophiles? I am not suggesting that homosexuals are pedophiles. Do you think people that have gambling addition want to be that way? Of course not, should homosexuals be accepted of course, should they be discriminated against, of course not. No one should be discriminated against. That includes heterosexual males that have pale skins. But the language in ERO allows men to go into women bathrooms, locker rooms, etc. Nor does it stop at transgender persons who the ERO supporters want to shift the argument to. I could claim that I think I am a woman and go into a city bathroom that is designated for women, right now. That is by City policy. I am not transgender, nor do I dress as a woman. I just have to claim that I think I am a woman. Who can prove that I don’t think that? Manuel, it is obvious you are not running a serious campaign because you are stuck in a blog. The ‘homosexual’ attack will not work. I believe Yolanda Black Navarro and Dave Wilson tried that and they failed miserably. Seems to me you are stuck in the 1950s, so to bring you up to speed, Democrats most often run as their true authentic self — and the community is OK with it. Julian you can’t even get your facts together and you are wrong, Dave Wilson against Bruce Austin, Dave Wilson won. Dave Wilson gathered over 22,000 signatures. That was not Yolanda Black Navarro. You keep putting out the same lies, none of those three candidates vote Republican. You must be desperate. I do vote in Republican primaries, except for once in 2012, I had a friend running in the Democratic primary and I promised them that I would vote for them in the primary. I have to admit you are persistent with your lies. So if I am stuck in a blog the better for you, be happy celebrate. Those reporters were wrong. The candidates you are pushing are corrupt and bought for. Abel and Art are not out there pandering for money, they will not be puppets of some homosexual master (LGBT). They will have no master. Manny Rodriguez is hated by the homosexual community because he supposedly outed his opponent. How can you out someone when they are supposedly openly happy “Gay”? Manny Rodriguez has voted straight Democrat his entire adult life. So has Herlinda Garcia, but you probably already know that, your job is to spread lies. How is that doggie park doing out there in the East End? But if you keep posting your lies, I will keep responding to them. May God give you some integrity. PK, for all I know, he used to be the most astute political genius of our time but I’m basing my comments on his own writing, discarding the grammar and spelling, all while trying to decipher the bulk of his comments. I’m not the first to call him on it nor will I be the last but an inability to communicate clearly tends to limit how effective someone is in most fields. When they then go around bragging left and right how much they’ve done (and independent research disproves most of the claims while drawing no credible supporting conclusion in his favor), it tends to invoke the sympathetic eye brow lift (if you catch my drift). I do catch your drift. Manuel, As you know, when Yolanda Navarro Flores ran against Zeph Capo, Yolanda and her Boss, Dave Wilson, tried to play the homosexual card. The reason they got whipped so bad is because they are stuck in the 1950s. We need more doggie parks in the east end. Thanks for asking!